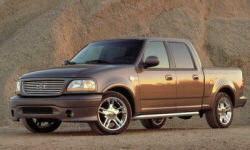 2002 Ford F-150 Pros and Cons | Page 1 of 1 | Why Not This Car? What drives people to buy (or not buy) a certain car? 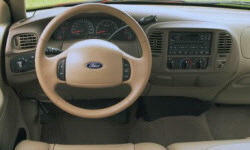 TrueDelta's members share 2002 Ford F-150 pros and cons based on their real-world driving experiences. This truck has only been back to the dealer on time for a minor problem with the steering wheel. It has so far been the most reliable vehicle I have ever owned.